Our trek began by getting up late, me forgetting my phone in the tent and getting lost very early in the trail. Pretty soon we saw no trail markings anymore, as the paths are truly poorly marked and we did not have any usable map for the beginning of our trek, not speaking about a GPS device. I knew we were off-trail, we were lost, nevertheless I felt safe and orientating by compass and surrounding peaks knew that we are going the right direction. First we were following cow tracks, then the cows themselves, discussing whether they might have inbuilt GPS antennas in their horns, but finally decided that cows have never been renowned climbers and took the lead ourselves. And soon were happy to do that. Marta experienced some difficulties in the steep upwards climb under scorching sun and lagged behind a little bit, constantly apologizing for it, although from my point of view, she really managed well. Was filled with joy, when I finally came to a crossing with a marked trail and knew that now we were close to a hut. I ran up a small peak nearby and was met by a grand view of mountain scenery. Felt immensely thankful for the chance to live in this beautiful, beautiful world. This is why I came here- for these moments! Clouds gathered and thunder gave its warnings and when Marta arrived, we decided not to eat but keep walking while it was not raining yet and soon reached a shepherd’s hut and the shepherd himself just in time to be under the roof with first rain drops. Waited for the waterfall outside to stop feeling strangely pressed by the man in his mid-40s to stay in his hut for the night. At a moment when the shepherd was out looking after his cows, sneaked out trying to avoid him keeping us back, but on our way met him anyway and he started following us our little company soon enlarged by his neighbor, both of them trying to keep us from going to the park hut, saying that it will be dirty there (could not imagine it could be more dirty than his hut), that there are teenagers there and we should not disturb them and that actually- they have everything we need in their huts. We still continued on, visited a hilltop church on the way and indeed found 10 local teenagers boiling recently killed sheep meat (there is a tradition to sacrifice sheep to god on church celebrations). The boys were quite nice- cleaned the floor of the hut when we arrived, freed two bunk bed for us, were very polite and spoke some English shyly. Very much contrasted to the shepherds, who soon commanded the boys to put up a table, started drinking the wine brought by boys, pressing us to drink, shouting loud toasts and by becoming more and more drunk, became more and more rude and annoying boasting to be real djigits. I tried to escape their attention by starting to write in my diary- saying I have to do some work, which ended by one of them- Georgij pulling out his knife and smashing it into the bed planks 7 cm away from my thigh- he had promised Marta to show, where to find water and said “Do you know what it means if djigit leaves his knife like this? No one will dare to touch you while I am away!” I smirked to it blankly and he continued “You don’t want it? I can take it away!”. For God’s sake- leave it and go. I don’t think Marta is really safe going for water with him, but at least his knife is here. I was left alone for a while and boys called me out to show me the most perfect rainbow I have ever seen in my life- brightly coloured full semicircle on the backdrop of rain illuminated by sun- breathtaking sight. Marta came from her ride walking and without water, but safe- in a way she is lucky not speaking any languages known by the shepherds so she is unaware of much of what is going on. Asking boys for the water was a much better option so Marta went for a second try with them and came back triumphantly carrying a 1,5l of water at the same time being artistically covered with mud from head to feet, because the trail to the water had tuned into a mudslide. With a big smile on her face she announced: “Washing today- forget it!”. Our djigits came back bringing a third one, by the nickname of “Chechen” and they continued their drinking feast in the hut, while we sat out by fire and cooked some food and tea interrupted by frequent shouts from the window “Linda, you have to come to us!”, which I kept ignoring. Luckily others came out so this never-ending discussion deciding Marta’s destiny was interrupted. Nevertheless I was constantly approached by the other, a bit more shy shepherd by reminders that I should come to his hut in the night, if I don’t feel comfortable here, him constantly grabbing my arm and trying to kiss my head and hands and me fighting back. 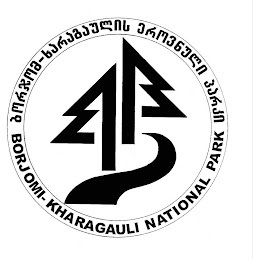 I had already decided to contact park administration- sent them SMS telling that we have some difficulties with drunken locals and had received a reply that rangers will be sent to the hut and should arrive “soon”. The evening by the fire ended by Georgij coming out of the hut- finished all alcohol, I suppose and asking me to come aside to tell me something. I replied by telling to him to speak in the presence or others or not saying it at all, which was a bit too sharp, as it made him madly angry and he started to shout and threaten- “Shut up, yourself! You will see- wolves will come to you at night and you will see what kind of wolves those are going to be! Remember- my friend here is Chechen and I myself am a Chechen. Rangers! Ha! You will se what rangers will come!”. Boys decided to intervene and tried to lead this angry, aggressive drunkard away, while he continued to yell at us in Georgian. We hid ourselves from his view in the hut and as it was already getting dark got ready to sleep, but so that we are ready to leave in seconds in case of need. After being threatened and with no sight of rangers sleeping was a difficult task. At around 1:00 in the night the unlockable door of the hut was slammed open and two men with heavy steps came in bringing us…. flowers. The rangers had finally arrived. Levani was on their phone: “Girls, you are in the wrong hut! I was very worried when the rangers reported that the tourist hut is empty and I could not phone you anymore!”. We had passed the right tourist hut, by being on the unmarked trail and had come straight to the peak of Lomis Mta and to the old hut, which was not used by visitors anymore, exactly because of problems with locals! We thanked Levani and rangers for their care and help and the rangers promised to stay the whole night and sat down with the boys….… to drink cha-cha.